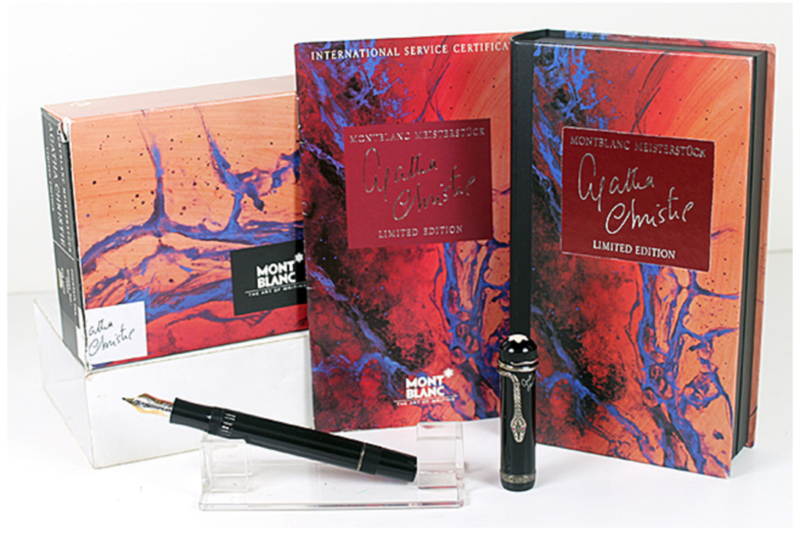 This is the 1994 Montblanc Agatha Christie Fountain Pens LE #15689/30000 PIF in Black. Clip in Sterling Silver with ruby eyes. Medium nib. New-old-stock. Mint in original box with papers, outer box and outer sleeve. Tiny edge wear here and there to the outer box.Item #132 in Catalog #84. 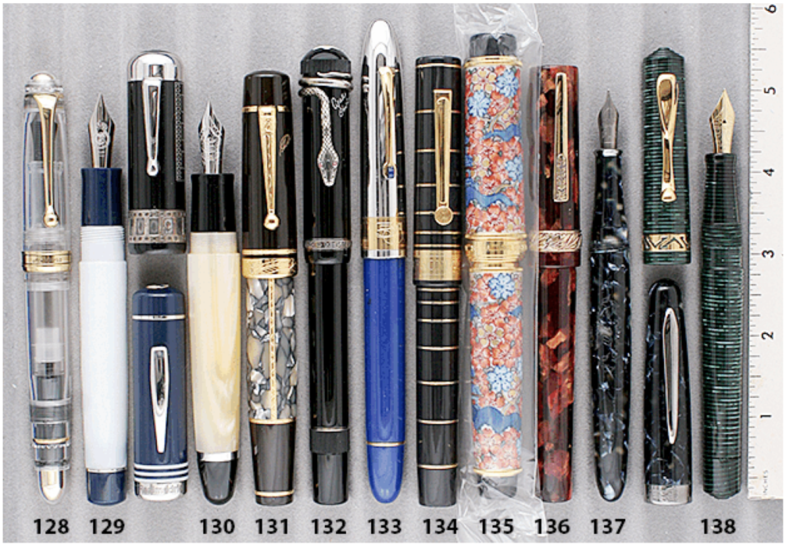 This entry was posted in Vintage Pen, Vintage Pens and tagged Agatha Christie, Catalog, Catalogs, Extraordinary Pens, Fountain Pens, Go Pens, GoPens, Montblanc, Vintage Fountain Pen, Vintage Fountain Pens, Vintage Pen, Vintage Pens. Bookmark the permalink. Follow any comments here with the RSS feed for this post. Post a comment or leave a trackback: Trackback URL.